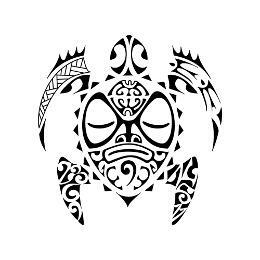 The turtle of this tattoo represents family, protected by a tiki. Above the tiki, two almost symmetrical figures represent the union between Paolo and his partner, while the koru held by the tiki symbolizes their son, with fish hooks for prosperity. The surrounding sun symbolizes eternity and happyness and it´s shaped by shark teeth for adaptability and strength. The back flippers include two important dates as maorigrams. 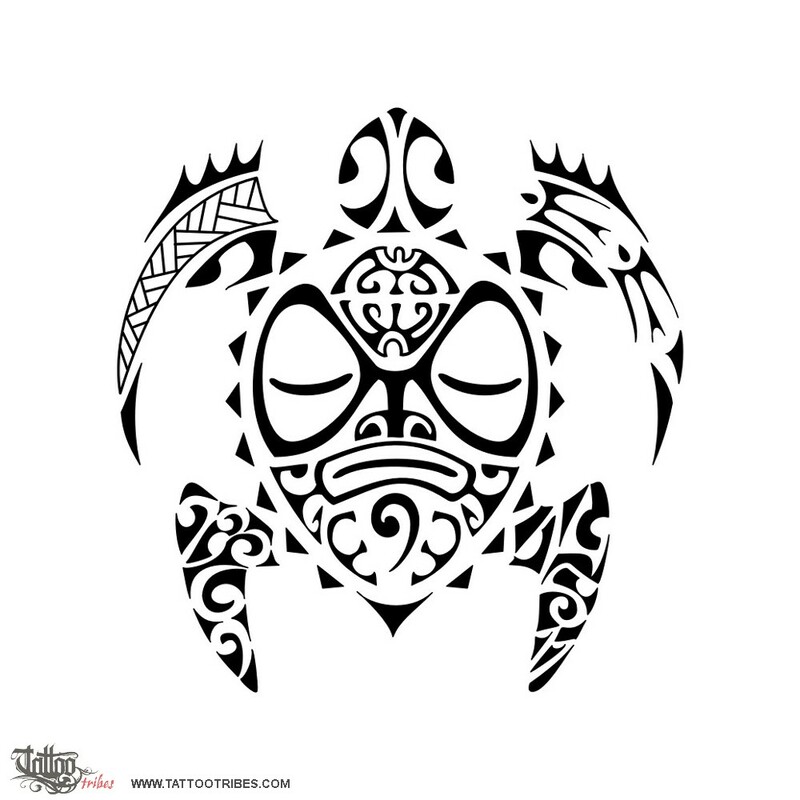 The left front flipper includes a braid, a symbol of union, and the right flipper has two chasing birds symbolizing that the loved ones will never be helpless.